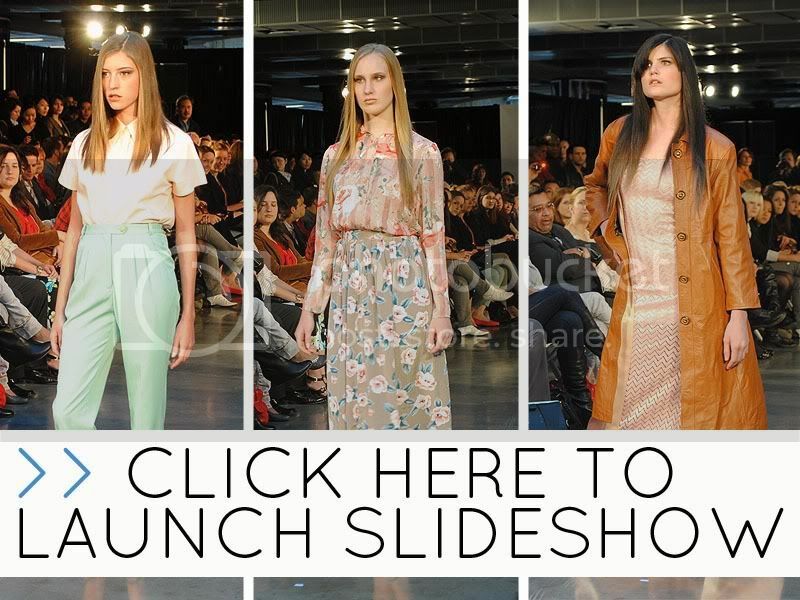 Impactful thrift from Value Village on the runway at Eco Fashion Week. All photos by Zi-Ann Lum. Many of us don't give much thought to what how our clothes affect the environment. Each year, over 90 million items of clothing end up in landfill sites around the world. That is a lot of clothing contributing to Global Warming. Manufacturing new clothing, shoes and accessories requires a lot of resources to produce. Consider that it takes 2,700 litres of water to produce one cotton t-shirt. So perhaps we could buy some of that used clothing destined for the landfill instead of buying new. But there is a bit of a stigma about buying second hand or thrift clothes. So this season Eco Fashion Week partnered with Value Village to help remove that stigma, and provide some eco-minded fashionistas with inspiration for shopping thrift. Stylists were given a $500 budget at Value Village to buy clothes and style 10-15 items for a runway show. Proving that thrift is also one of the cheapest way to "go green" stylishly. Stylists Sarah La Greca and Deanna Palkowski worked together to bring their pretty and feminine vision of thrift to the runway. First, I must digress slightly to note that all their models wore the Chinese slippers that were everywhere when I was in Junior High. It was a short flashback moment to the early 80s for me. The duo of Stylists brought us wearable and on trend 70s-style knits, pastels, pretty florals and a bit of pleather to add an edge.